Official figures, released by the Office for National Statistics yesterday, show that youth unemployment has halved since 2010. The figures also show that the unemployment rate of 4.0% has not been lower since 1975. Real wages are up for the seventh month in a row, rising by 0.7% above inflation and employment remained high at 75.5%, up 0.4% points on the year. The proportion of young people who are unemployed is at a new record low, as more than 120,000 more young people have a job than in 2010. At the same time, fewer children are now growing up in a home without any adults in work than ever before. There are 637,000 fewer children in this position than in 2010, helping inspire more young people into work themselves. It comes as over 3.3 million more people have entered work since 2010, meaning an average of 1,000 more people in work every day. The UK saw a seventh month of real terms pay increases, with regular wages up by 3.1% in August, or 0.7% against CPIH inflation. 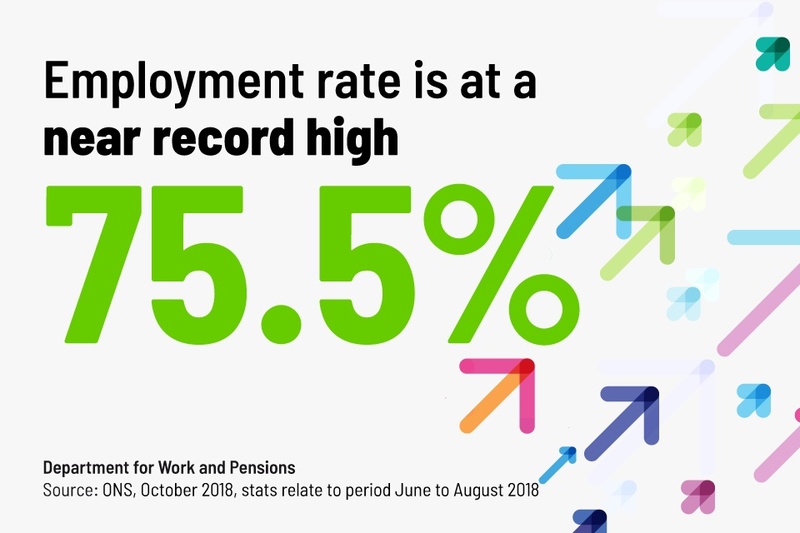 The latest figures from the Office for National Statistics also revealed the employment rate remains high, at 75.5%, with over 3.3 million more people in work since 2010. On top of this, figures show the majority of jobs created since 2010 are full time, permanent roles that are in higher skilled occupations, which typically bring higher earnings – all ambitions of the government’s Industrial Strategywhich seeks to create better, well-paying jobs fit for the future. Unemployment has fallen across all regions of the UK since 2010, with yesterday’s figures showing that the West Midlands, London and Wales in particular have seen the largest employment growth in work in the last year. This month’s figures show youth unemployment has fallen by 50 percent since 2010, down to a new record low, showing our welfare reforms are working and giving young people a better future. We want to empower young people; open up new career opportunities – deliver a brighter future for them. I am particularly encouraged that wages continue to be on the up, outpacing inflation for the seventh month in a row with regular pay up 3.1% on the year – the fastest growth in almost a decade. 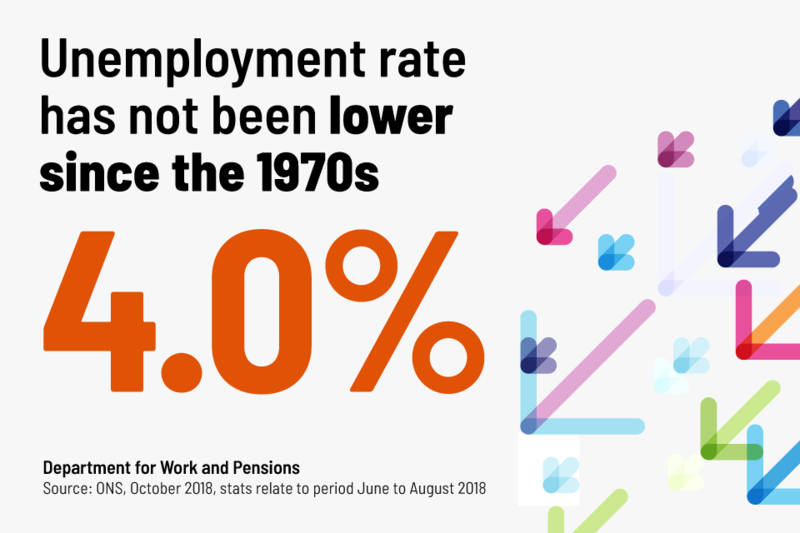 And with unemployment at its lowest since the 1970s, since 2010 there are more people with the security of a job, more people with a regular salary, and more people able to support their families - and that is thanks to action this government has taken to build an economy that works for everyone. We are also arranging work experience sessions for students through Jobcentre Plus, in over 1,400 schools. The scheme is being rolled out across the country, to ensure young disadvantaged kids aged 12 to 18 get opportunities, including work experience, to learn about the world of work and consider future career options. So far, the partnership between Jobcentre Plus and local schools has resulted in around 12,000 sessions for pupils, parents and teachers helping to prepare pupils for the world of work. Hiring and training opportunities, pay and conditions, finding someone for your business, guidance and templates for employers. A Guidance developed by government and an industry working group was published yesterday.